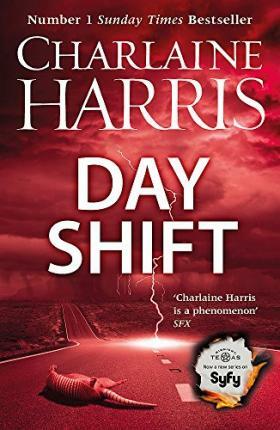 Now adapted for television in SyFy UK's Midnight, Texas series - welcome to Charlaine Harris's bestselling paranormal mystery series about a small town where only outsiders fit in . . . Welcome to the most intriguing mystery you'll read this year. It's a quiet little town, perched at the junction between Davy Road and Witch Light Road, and it's easy to miss. With its boarded-up windows, single traffic light and sleepy air, there's nothing special about Midnight . . . which is exactly how the residents like it. So when the news comes that a new owner plans to renovate the run-down, abandoned old hotel in town, it's not met with pleasure. Who would want to come to Midnight, with its handful of shops, the Home Cookin diner, and quiet residents - and why? But there are bigger problems in the air. When Manfred Bernado, the newest resident in town, is swept up in a deadly investigation suddenly the hotel and its residents are the least of the towns concern. The police, lawyers and journalists are all headed to Midnight, and it's the worst possible moment . . .
CHARLAINE HARRIS is a New York Times bestselling author who has been writing for over thirty-five years. Born and raised in the Mississippi Delta, she is the author of the Aurora Teagarden mysteries, basis for the Hallmark Movies & Mysteries Aurora Teagarden original movies; the Midnight, Texas series, now a brand-new TV series; the Sookie Stackhouse urban fantasy series, basis for the HBO show True Blood; the Lily Bard mysteries; the Harper Connelly mysteries; and the co-author of the graphic novel trilogy Cemetery Girl. Harris now lives in Texas with her husband and two rescue dogs.